If you are planning to have electricity, internet or even a water supply to your building it's worth planning for this early on in your build when you are preparing your base. The simplest solution is to dig a trench between your home and your garden room, the width only needs to be sufficient to lay any pipes or cables however the depth need to be at least 50cm for your armoured electricity supply, and you may want to lay your water supply up to 75cm deep to avoid freezing. 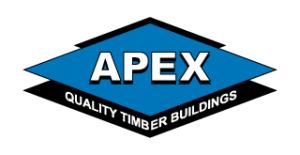 Apex are happy to do this work as part of your project, and any work that requires certification will be carried out by a fully qualified professional. We use qualified engineers for all our electrical installations. Also do you plan to line your building? if not you will need conduit or trunking to secure your wiring to the inside of your building. We are happy to provide advice on any aspects of powering your garden building. Whether you want to use your garden building as a home office, a place to relax, play computer games or read your ebook you'll need access to your home internet connection. Some types of insulation can effect your wireless signal, particularly the types that use a metallic surface. You might consider using mains networking, which provides an internet connection through your mains sockets. This option obviously depends on whether you plan to have electricity installed in your garden building. Whilst we have had success with this option it is not a guaranteed solution as outside buildings are often wired with their own consumer unit. A wired connection has been the most effective solution in our experience, and if you are planning to connect your home office to your home's mains supply it makes sense to include a cable for connecting your home broadband connection at the same time. There are many reasons why a water supply might be useful in your garden building whether to water your plants, wash your hands or even make a cup of tea. 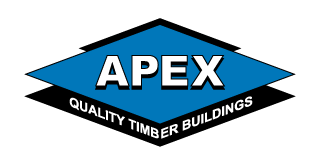 The main concerns in running a water supply from your home to your timber building, is freezing and contamination, both can easily be avoided by making sure your pipe work is suitable for purpose. If you run your pipework under ground you should look to be about 75cm below ground level which will reduce the risk of freezing and give yourself adequate depth to add some back fill whilst maintaining the 50cm depth required for armoured electrical cable. If you have any questions regarding any of the subjects covered on this page please call us on 01642 612016 for further details.